Start early and try to set a good example, says Akshay Kumar. Akshay Kumar doesn't miss a chance to share his wisdom with the world. The actor who has in the past used his social media to talk about hygiene and sanitation, recently took to Instagram to share a parenting tip. 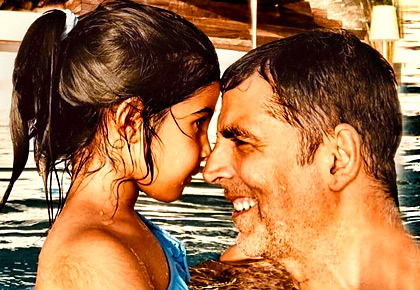 Akshay posted a video of his little daughter Nitara Kumar working out on Sunday morning. It's not the first time Akshay gave us parenting goals. 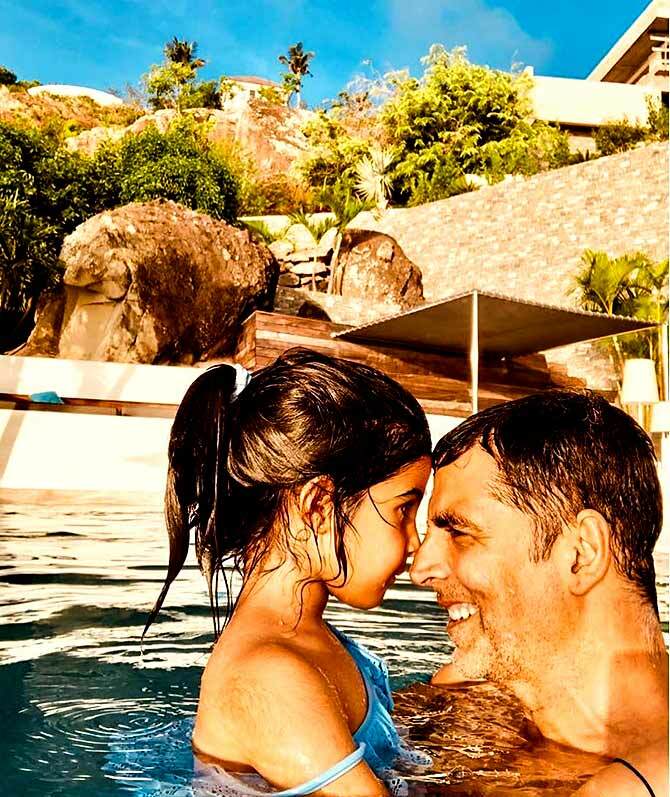 When he is not working on a film/s, Akshay likes to spend time with his family, particularly his younger one. Remember how he let Nitara paint his nails? If you follow the actor on Instagram, you'll see how the family does interesting things together -- nature walks, sharing household chores, reading books. In fact, Akshay is inspired by how his own parents brought him up. 'My kids are as kids should be. They play, have fun, and just be… I don’t push them, I try to motivate them. But instilling right values is important, that’s what my parents did, and that’s how I want it for my kids. They value what they have. Everyone should be thankful for the many blessings they have,' he'd explained in an interview (external link). If you thought star kids have it easy, Akshay will break your bubble. When the family goes on a vacation, they let Aarav travel economy class. If he has to travel business, he has to earn it, Akshay said. One of the times Aarav travelled business is because he earned his first degree black belt (in kudo). 'If he hadn’t got it, he would have travelled economy,' the 51-yr-old said.